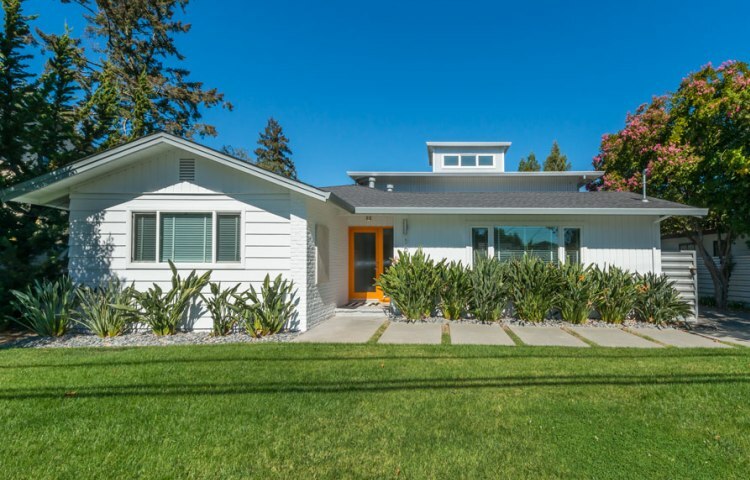 Transformation of a small one story 50’s home. 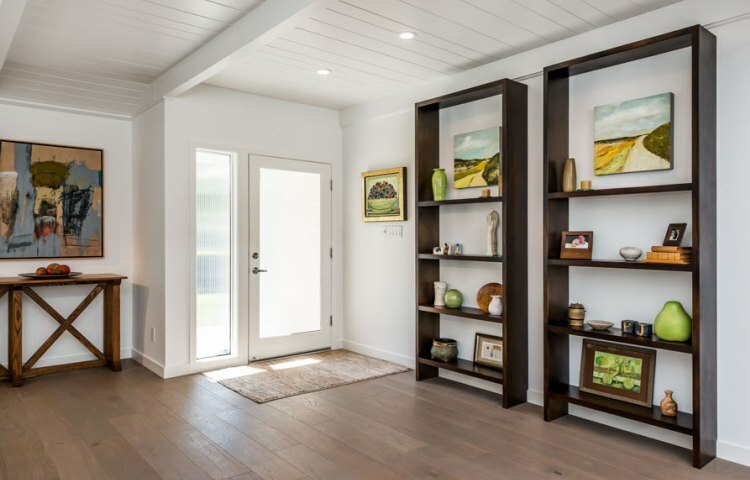 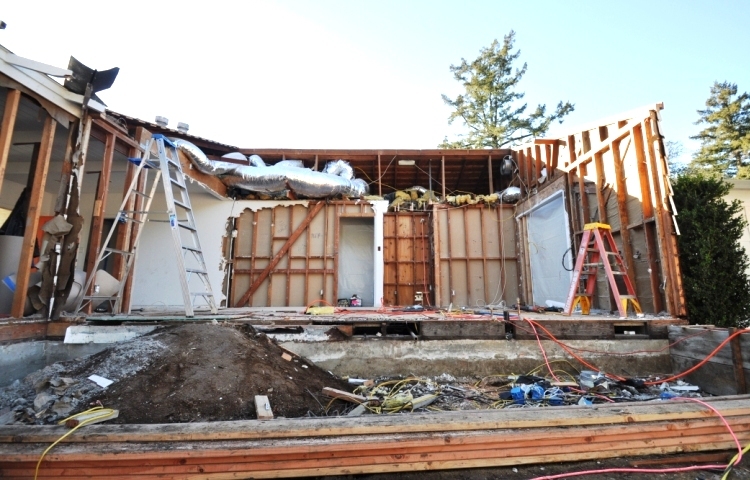 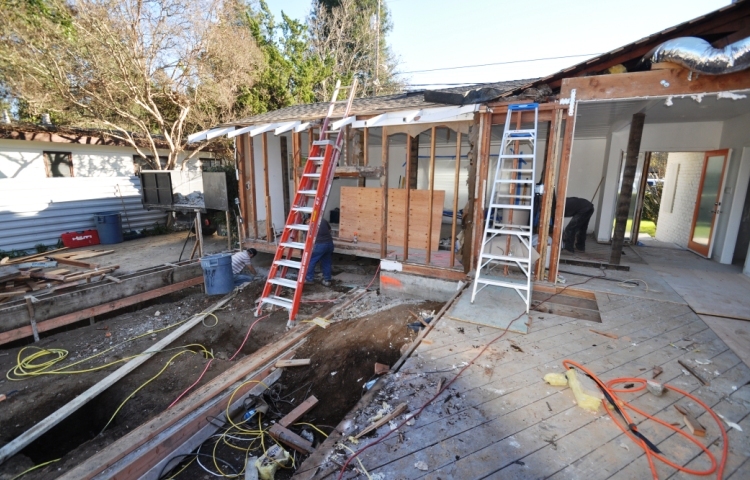 This small (<400 sf) addition and remodel completely transformed a small one story 50’s home. 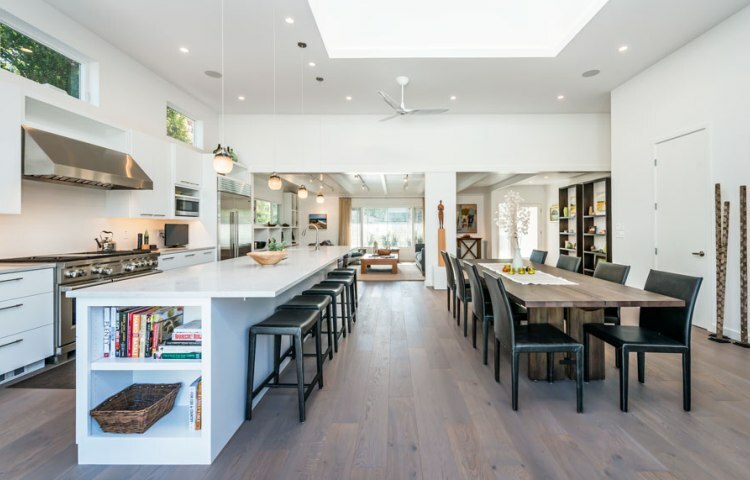 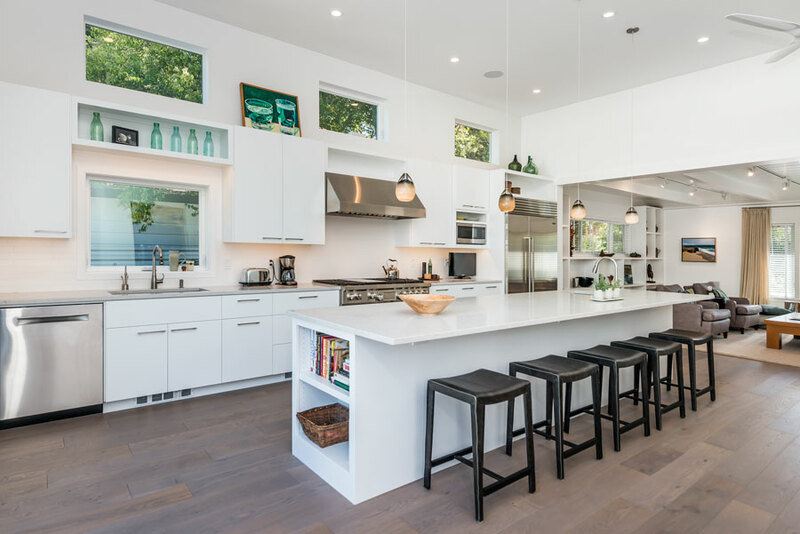 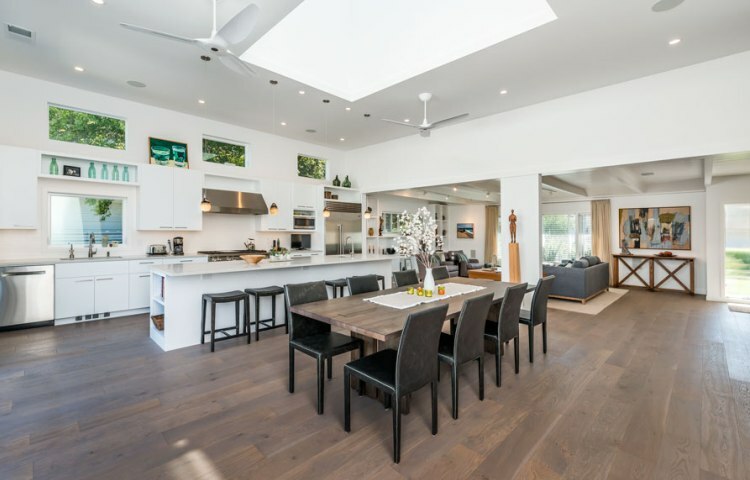 A smallish eat-in kitchen with adjacent living room in an ‘L’ shaped configuration was squared off and all the interior walls were removed to create a large open Great Room. 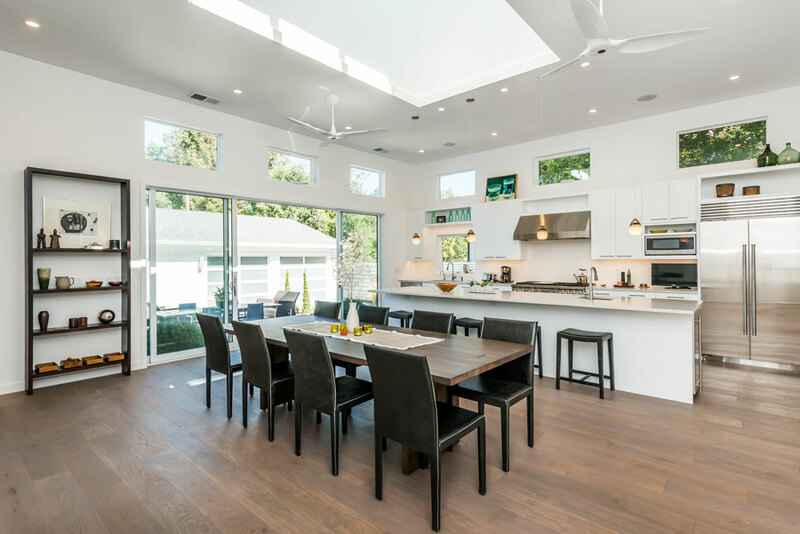 The ceiling of the addition was set at 12’ with an 18’ tall clerestory with motor-operated windows in the middle to create a sense of volume in the space. 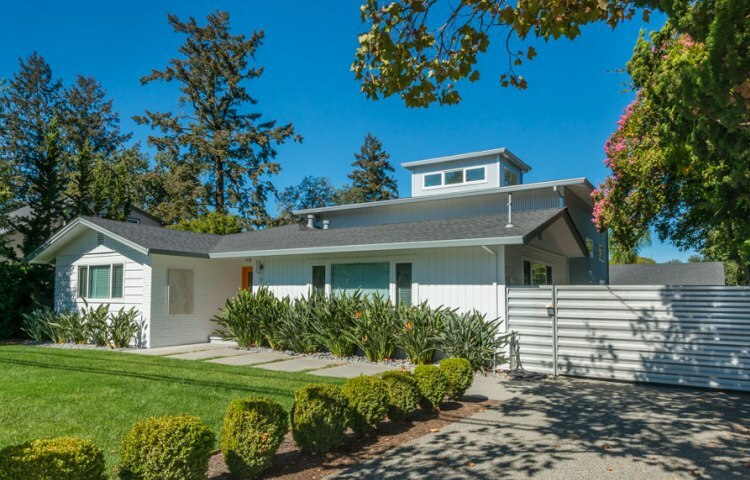 The exterior was sheathed in corrugated metal siding to differentiate the tall addition from the original one-story home. 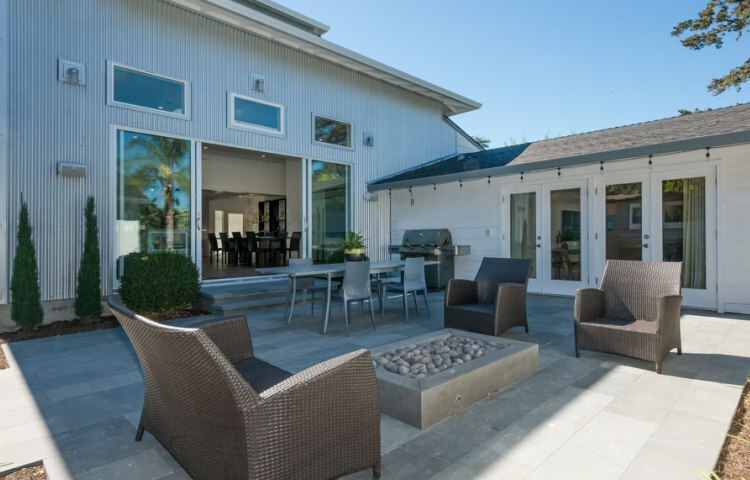 A large sliding glass door opens the space visually to a backyard patio area with fire pit. 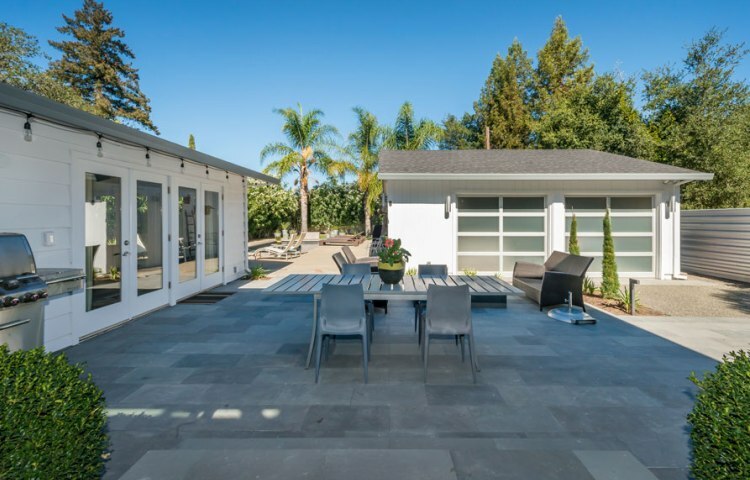 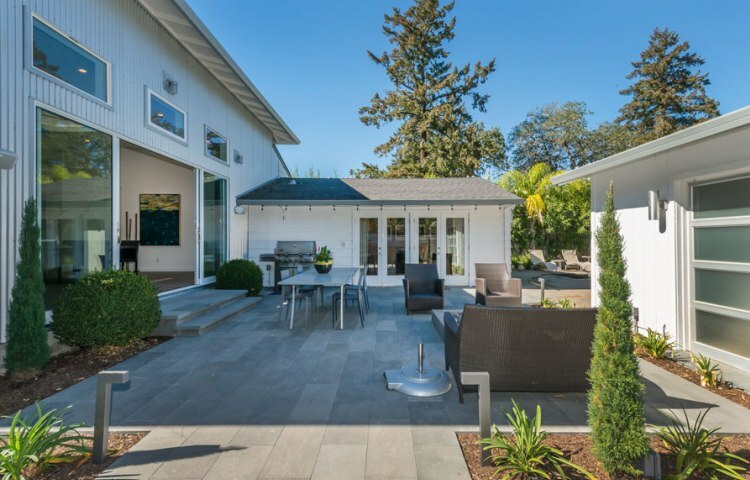 Indoor/ outdoor living is what Northern California is all about. 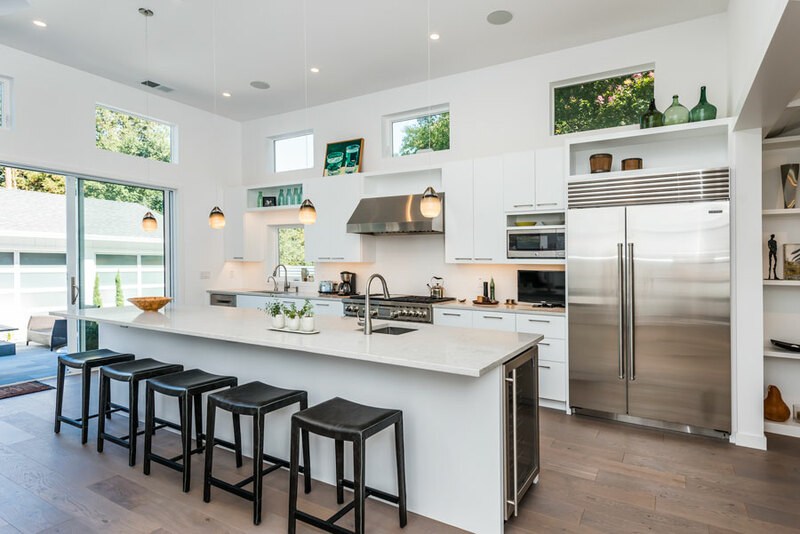 The kitchen, with a 13’ long island, expansive work area and storage was a key component for the Owners who love to cook and entertain.